On a typical workday, Jenae Roseen helps make clothes for zombies—and the people who fight them. 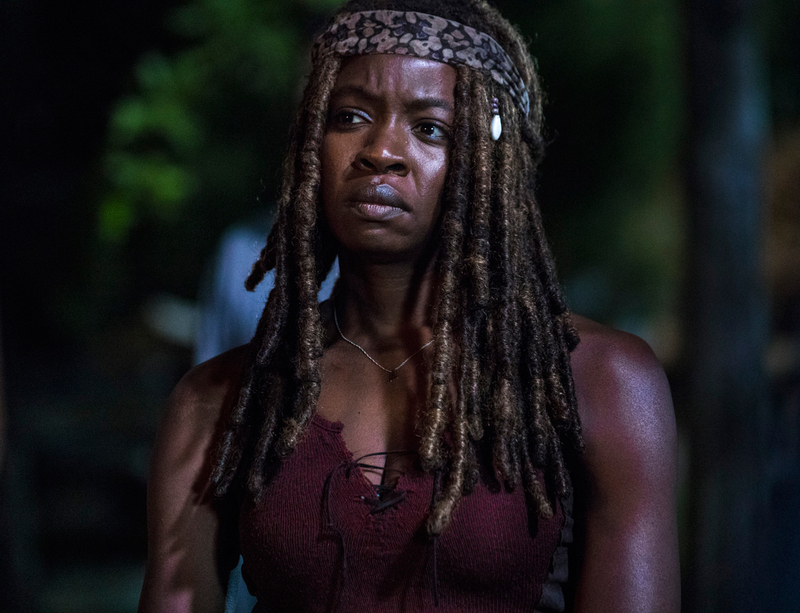 As the sole wardrobe ager/dyer for The Walking Dead, she’s tasked with taking dozens of modern-day wardrobes and rendering them post-apocalyptic. And with a roster of 30-plus principle actors and hundreds of background actors (the aforementioned zombies), she’s got her work cut out for her. Roseen’s grandmother first taught her to sew when she was 14. 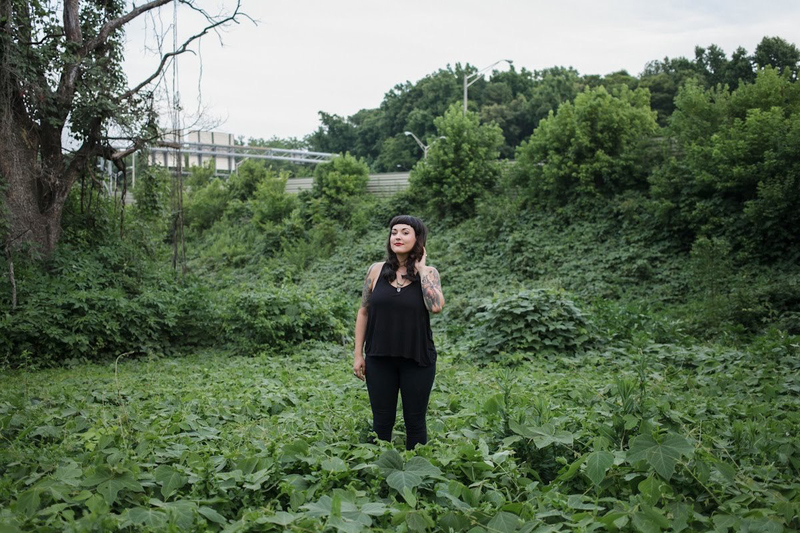 From there, the Peachtree City native started altering clothes she bought in thrift stores, eventually making her way to Savannah College of Art & Design Atlanta, where she majored in fashion design and sculpture. Four years later, with a solid portfolio and just two weeks until graduation, she scored an internship with self-described “post-fetish” leather designer Zana Bayne in New York. “I sent Zana my portfolio on a whim,” Roseen says. “I knew that we were like-minded, and that I could help her and she could help me.” In just a few years, Roseen worked her way up from intern to studio manager to assistant designer, working with lots of leather and metal hardware. After about three years spent honing her skills at Zana Bayne, Roseen felt like her NYC life had run its course. She made the move back down South in 2016 to transition into film and TV work. 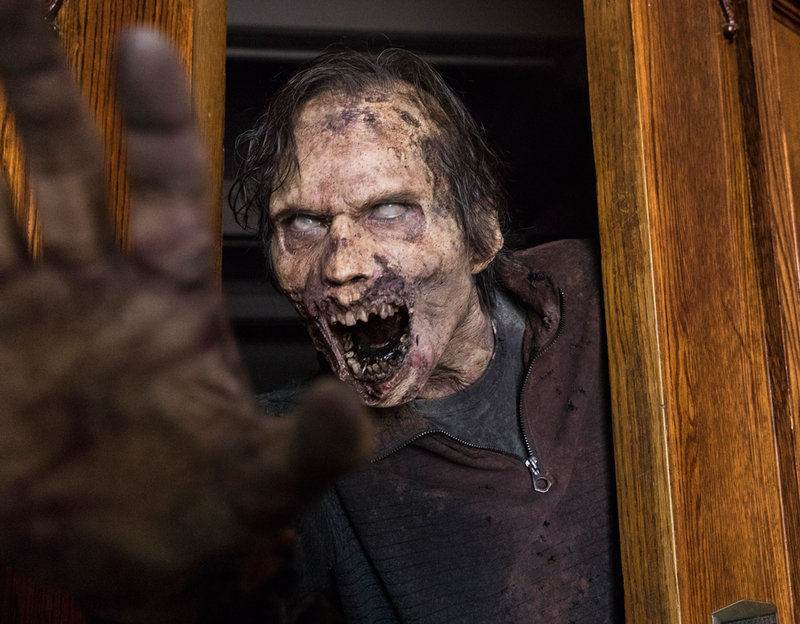 A costume designer mentor helped her book a gig with Adult Swim (where she was tasked with fashioning a leather codpiece for Satan), which turned into another gig, which led to stints working on beloved Netflix series Stranger Things, the Academy Award-nominated film Hidden Figures, and now, The Walking Dead. 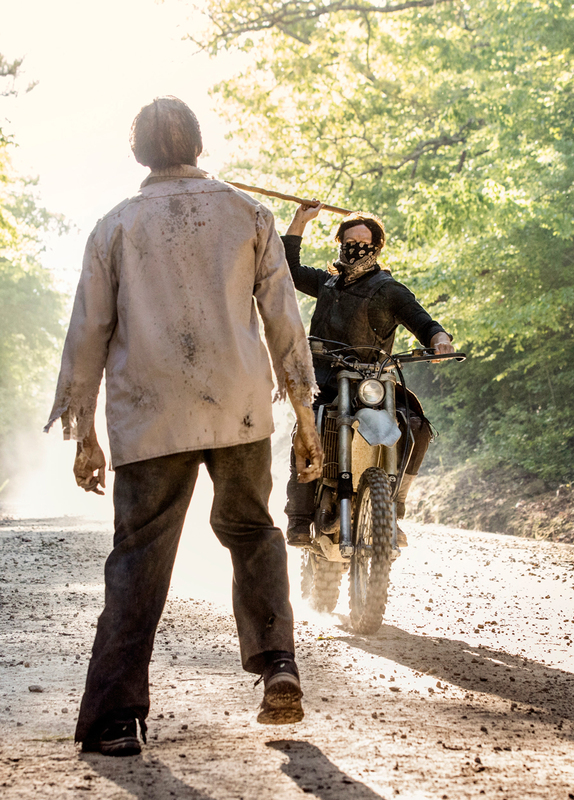 Daryl (Norman Reedus) fights a walker on The Walking Dead. 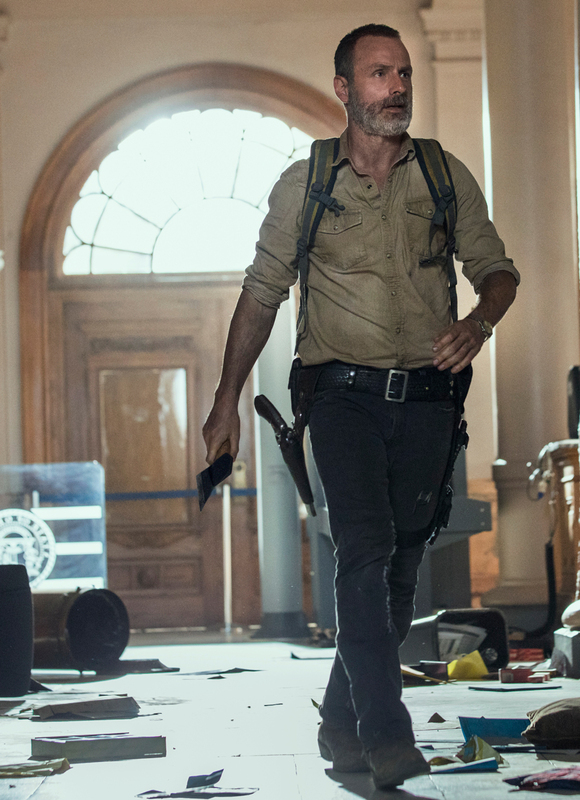 Rick (Andrew Lincoln) in the season nine premiere of The Walking Dead. 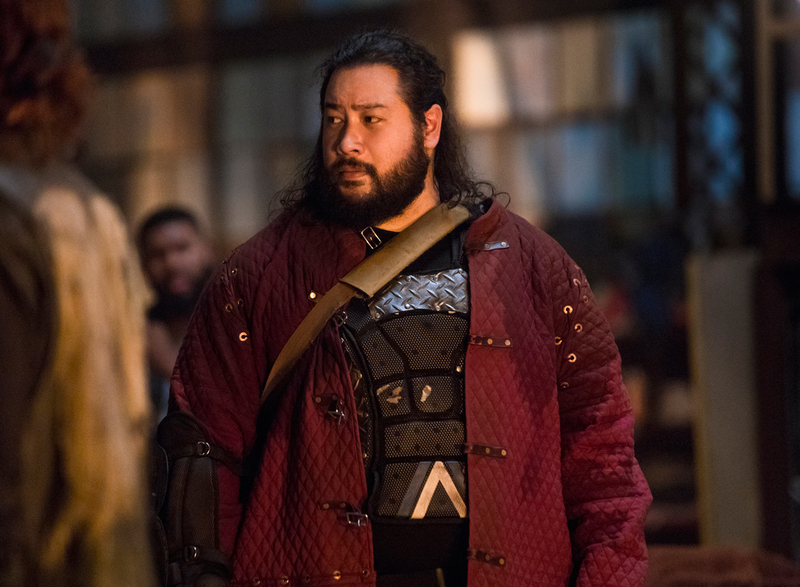 Jerry (Cooper Andrews) wearing protective gear on the season nine premiere of The Walking Dead.